The Law Offices of James Giries provides experienced family law representation to clients in Plano, and throughout Collins County and surrounding areas. No divorce is too complex. No dispute is too contentious. James Giries has the experience and resources to handle complex divorces involving the division of business assets, professional practices, retirement assets and other high-asset concerns. To clients, Mr. Giries is an understanding ally who listens and cares. He will work with you personally to help you understand the law and guide you to the best possible outcome. By legal opponents and peers alike, James Giries is respected for his professionalism, legal skill and integrity. 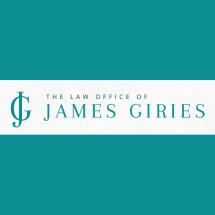 When you are ready to discuss your family law issue with an experienced lawyer, The Law Offices of James Giries will be here for you. To arrange your initial consultation, please contact the firm online or by telephone at 972-905-6989.